Talking about sensitive places in Mitrovica, you can say the everyday life situation in places like “Three Towers” is perceived by the inhabitants better than the one in Kodra Minatorëve, while even more different is the one in Bosniak Mahala or in the recently restructured Roma Mahala, because in “Three Towers” they are closest to the Main Bridge, and this gives them a stronger perception of safeness. Instead, in Kodra Minatorëve, they are not in apartments, but in a neighborhood, close to the top of the hill, where you can find the Miner’s Monument, the structure made by the architect Bogdan Bogdanović in early Seventies, entirely surrounded by Serbian houses, so they feel in a closed area and see contacts are difficult. It is also a special “place for memory”, between difficult past echoes and social ties. Since Kodra Minatorëve is like a “town in a town”, with the ethnic specificity to be an Albanian area in a Serbian city, it’s hardly connected with Albanian majority Central Kosovo, like Serbian enclaves in Central Kosovo are very hardly connected with Mitrovica. The public transportation serves the area by bus three times a day (to go South and come back) and, if the situation is tense, the bus stops circulating. In the past, the bus went through the Main Bridge, but, after the clashes eruption in 2004 and especially after the barricades erection in 2011, it uses now to pass through external neighborhoods, like Bosniak Mahala on East Side, or villages, like Suvi Do (Suhadollë), on West Side. Hopefully, the situation is going to evolve better, since Bruxelles Agreement (2013) foresees the Main Bridge to be re-opened. The same difficult situation is about social services. The situation of the Albanians in Northern Mitrovica is hardly comparable with the one of the Serbs in closed villages (so called enclaves) in Central Kosovo, but it’s very problematic since they have no hospitals, as they feel unsafe in getting Mitrovica Hospital in the North, and no schools, since the one they adapted as a kindergarten is a container. Here, as referred, two teachers serve as volunteers, coming there and getting back from South Mitrovica, every day. They are teachers normally teaching in the South, using their after-noon or free-time to teach, out of their normal salary, voluntarily, various school subjects in the North. The only public Biblioteque, “Vuk Karadzić”, in the North, was previously a flat of the UN Interim Mission, UNMIK. The situation in Bosniak Mahala is different and you can see what kind of huge variety is among different quarters in the post-conflict Mitrovica. People are not moving like they used to do, normally, in the past, and they are not easily going from place to place as you can imagine in a quiet situation, because one of the conflict consequences is that freedom of movement, inside and outside Kosovo, is limited. People are suffering for a difficult economic situation, which is given by the social and economic crisis, but also by the consequences of a delayed development, since you have in Kosovo around 30% general unemployment, around 50% youth unemployment and more than 60% women unemployment. Kosovo counts no less than 500 thousands unemployed people, out of a population no more than 1.8 millions inhabitants. The situation in Northern Kosovo is made even more complicated by the presence of an “official” (from the Kosovo Albanian point of view) Government which is the Kosovo Government, issued after the self-proclaimed independence, even if quite not present in the North, and a “parallel” (from the same Kosovo Albanian point of view) Government, which is the Serbian Government, the Institutional Authority according with UNSC Resolution 1244/1999 and for Serbian community, with its offices and functions, in each Northern District (Mitrovica, Zvečan, Leposavić and Zubin Potok). In Bosniak Mahala, before March 17th, 2004, riots, quite 80% of the population were Albanians while nowadays, after the Albanian extremists’ attacks against Serbian communities in Central Kosovo and the widespread climate of violence, anger and suspicion following it (but also for the consequences of the economic crisis), many Albanians just left that quarter and sold their properties, going South. There are businesses by Albanians, like a grocery store, and also a grocery store managed by Serbs, but it’s not visited by Albanians, a part from very quick or urgent matters or needs. In such a case, instead of going South, they immediately go there and generally there are no problems, because people there also use to speak Serbian. In the very specific situation of Bosniak Mahala, however, the living conditions are bad, even if better for Serbs than for Albanians, since Serbs receive support from the Serbian Government’s owned offices and, when working, their salary or pension, from Serbian authorities and Albanian authorities, like for double identity cards. Bosniak Mahala, from such a point of view, is like a “Little Bosnia”, because you can find a Bosnian community, Serbs speaking Albanian, Albanians speaking Serbian, and, of course, Bosniaks, who are native Slavs, speaking Serbian in Bosnian dialect and believing Islam. Threats by Albanian extremists continue and they are a major danger. This is a link-place between the two major communities in Kosovo and a very interesting place for inter-ethnic exchanges, that is like a “heritage” from the past, since, up to end Seventies of 20th century, Mitrovica was one of the most diverse and mixed cities, not only in Kosovo, but in the entire Yugoslavia, with Serbs, Albanians, Turks, Bosniaks and Roma (or, better to say, Roma, Ashkalij and Egyptians, R.A.E.). 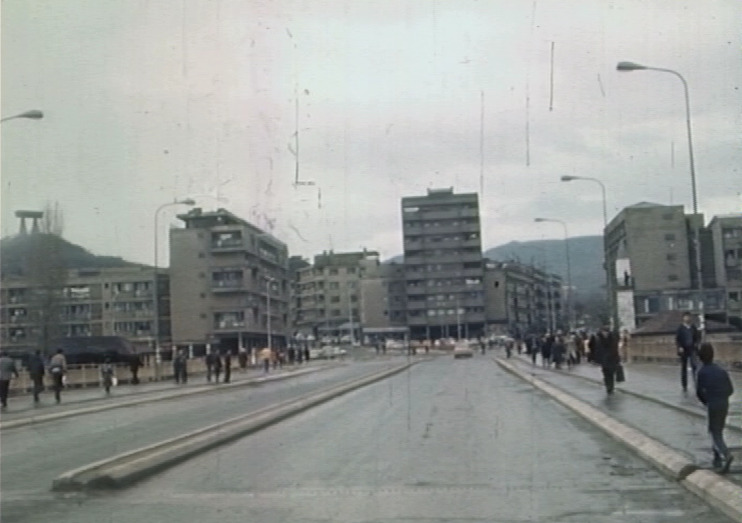 This social diversity, especially between Fifties and Seventies, was one of the benchmarks of Mitrovica. corpicivilidipace.com is the website resulting from project PULSAR (Project on Understanding and Linkages to Serbs and Albanians Reconcile) by Peace Workers Campania (Operatori di Pace Campania) for “Civil Peace Corps” in Kosovo. The association is not responsible for damages arising out of use of any information within the website. The association is not responsible for the content of information contained in these sites. The association is not responsible for possible links to this website in other sites and media. Links to third-party sites do not constitute an endorsement of parties or products. The possible appearance on the website of adv and product info does not constitute in any case any endorsement.